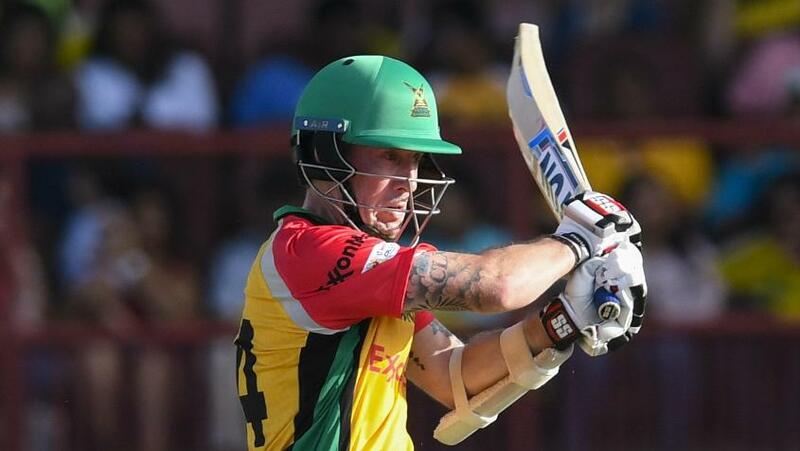 It was a bowlers’ match at Providence in the Caribbean Premier League on Saturday 11 August, with only 279 runs scored and two men picking up three-fors. Importantly from Guyana Amazon Warriors’ point of view, they did just a bit better with the bat to pull off a three-run win and add the scalp of St Lucia Stars to go with that of St Kitts & Nevis Patriots. Batting first after losing the toss, Guyana had good contributions up front from Chadwick Walton (31), Luke Ronchi (42) and Shimron Hetmyer (21), but none of them could blaze away the way Shoaib Malik, their captain, would have liked. They finished on 141/4 with Qais Ahmed, the 17-year-old Afghan leg-spinner, returning 3/15. But Rayad Emrit, later named Player of the Match, picked up 3/26 and Imran Tahir had 2/23. St Lucia could only manage 138/7 before time ran out, Lendl Simmons (45) and captain Kieron Pollard (32) keeping them in the hunt before the chase went off the rails. “I wasn't happy with the final score, I thought someone would score at least a 50. That was the only thing that didn't happen. Having said that, it was a difficult pitch, but the bowlers did well,” said Malik after the game. It is the CPL, and Malik was quick to talk up the local players who have played key roles for the team so far. It was Hetmyer’s 79* that gave Guyana victory in the first match, while Emrit was excellent on Saturday. “Hetmyer is very talented, he played well in the last match," Malik pointed out. "We need to promote such serious talents. I wasn't sure of the bowling changes, but the coach [Johan Botha] had a few ideas. Emrit showed up as a senior player today." Emrit, vastly experienced at 37, gave another indication of his quality as a Twenty20 player. “Nothing is impossible. It was tough, I knew how difficult it would be when Pollard was batting. We have got some momentum now, tonight, I thought myself and the team came on top,” he said. Even as Guyana went to the top of the table, St Lucia went the other way after successive losses. “When we look back, the bowlers brought us back into the game, we played 35 good overs, but a couple of bad overs tripped us. They bowled well in the Powerplay overs, but that wasn't the reason for our loss. We both (Simmons and he) had experience and should have taken the team home,” said Pollard, the St Lucia captain. On the day, Ahmed was outstanding, providing another glimpse to the wealth of talent in Afghanistan, while David Warner, the star opening batsman, faltered. But Pollard pointed to the two of them as players who can turn St Lucia’s fortunes around. “Qais is very talented. At 17, he showed his quality. We are getting closer, need to stick together in difficult situations.